I love used bookstores, and we have a great one in Nashville, TN! It's called McKay Used Books, and I have found a lot of gems there, especially when it comes to Bibles. Now, I want to make it perfectly clear that I am not really a "premium Bible person." I'm not really interested in spending over 50 or 60 bucks on a Bible most of the time. But awhile back, I did stumble on a NKJV at McKay's, for less than ten bucks, that I realized was a genuine leather Bible, which I later discovered had a typical retail price of about $80. It had just a little water damage on the last third of the Bible, so I could see why they were selling it at such a low price. So, for a long time, that was my only premium Bible. Just recently, though, I've discovered a couple other ones that I felt I just had to add to my collection. The first was an HCSB, which tends to be one of my favorite translations. 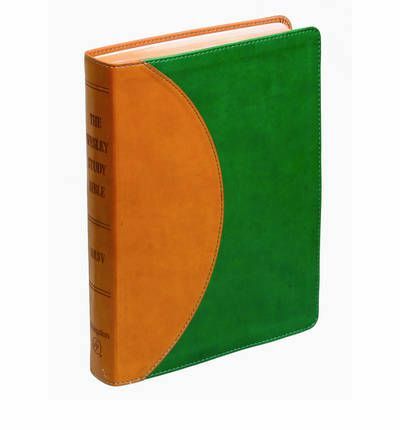 It was one of their "Minister's Bibles," and even though it had a little writing in it (on only a handful of pages), the feel of the leather was so beautiful, I thought the price of $17 was a steal. A few days later, I found a perfect ESV top grain leather Bible, still in the box. There were no markings on this one, and the ribbons were still tucked into the Bible. It was $27, which is a little high for a used Bible (in my opinion), but again, the leather felt great, and the print was nice and large, which pleased my aging eyes. Finally, I'd read about the TBS Westminster Reference Bible, a King James Bible from the Trinitarian Bible Society, and I decided I would look for one on Amazon. I found one for a pretty reasonable price (about $60, with shipping), and so that one is on the way. That will probably just about do it for premium Bibles for me (for the time being). 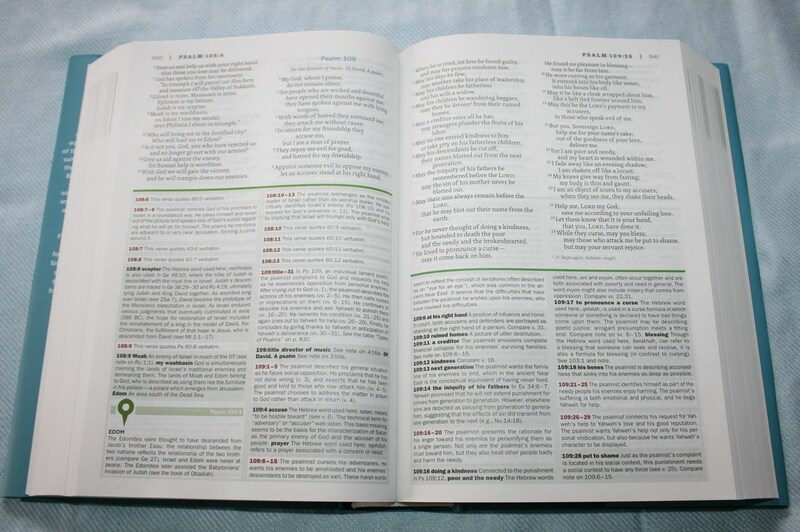 This picture of the TBS Westminster Reference Bible is from Randy Brown's excellent biblebuyingguide.com website. Click on the picture to visit the site. I decided today that the theme here on Bible Bookshelf was not to my liking, so I made a few adjustments. The blog now has a "wood" feel to it, and there are new header pictures on each page. Meanwhile, I also updated the spreadsheet on the "My Collection" page (you can click on the link on this line, or the link at the top of each page). 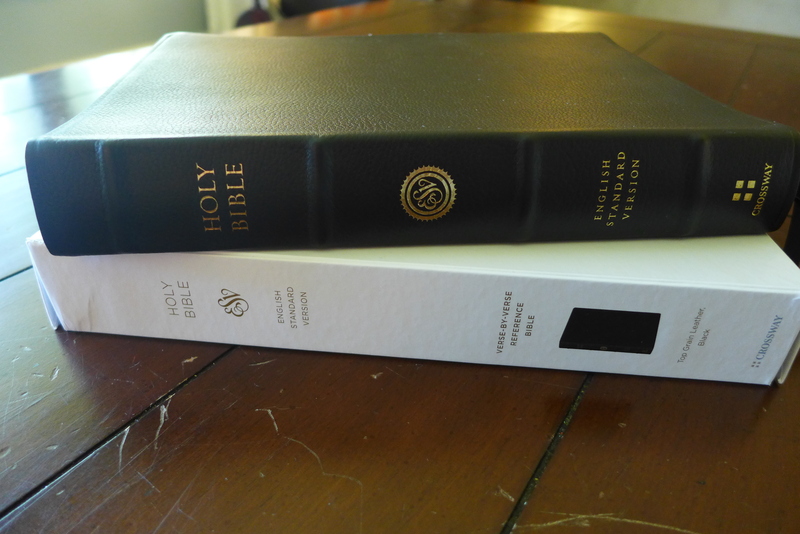 Today I added a couple beautiful genuine leather Bibles to my collection: one is a Holman Christian Standard Bible (HCSB), and the other is a King James Version (KJV). 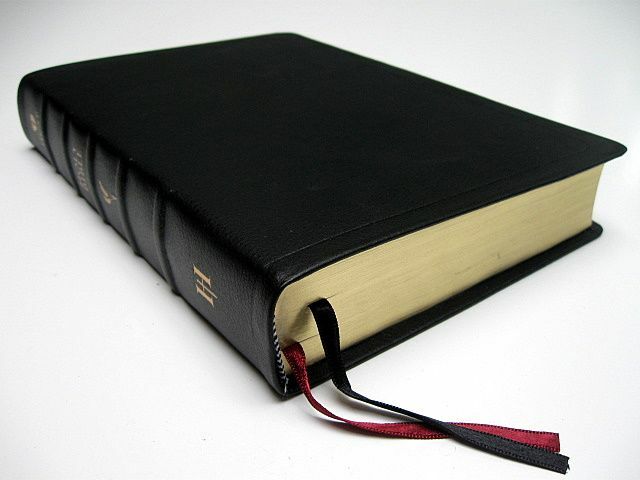 The KJV is published by First Word Publishers, and it's also a beautifully soft leather, with THREE marker ribbons! These Bibles are about as premium as my collection ever gets, and they were much cheaper than most premium Bibles would be. Nevertheless, I think they are great additions to my library, and I intend to use them regularly (especially that HCSB). 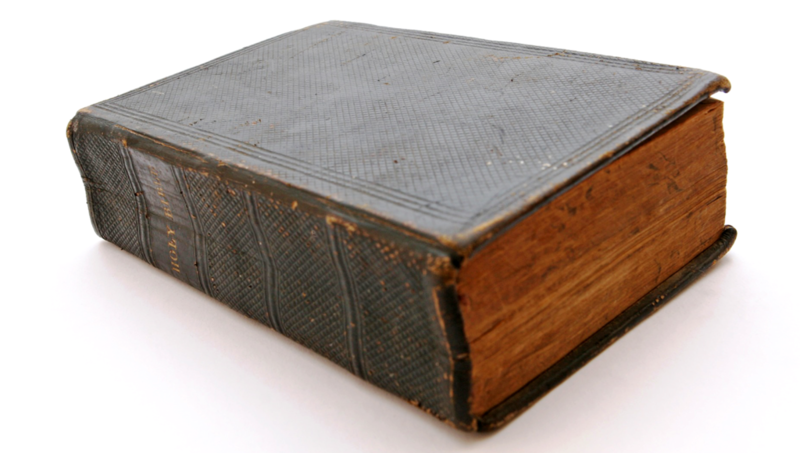 Recently, on the Bible Versions Discussion/Dialogue group on Facebook, we've been having a pretty lively conversation about study Bibles, the ones we like and the ones we don't like. That got me thinking about some of my favorite study Bibles, the ones I use the most. 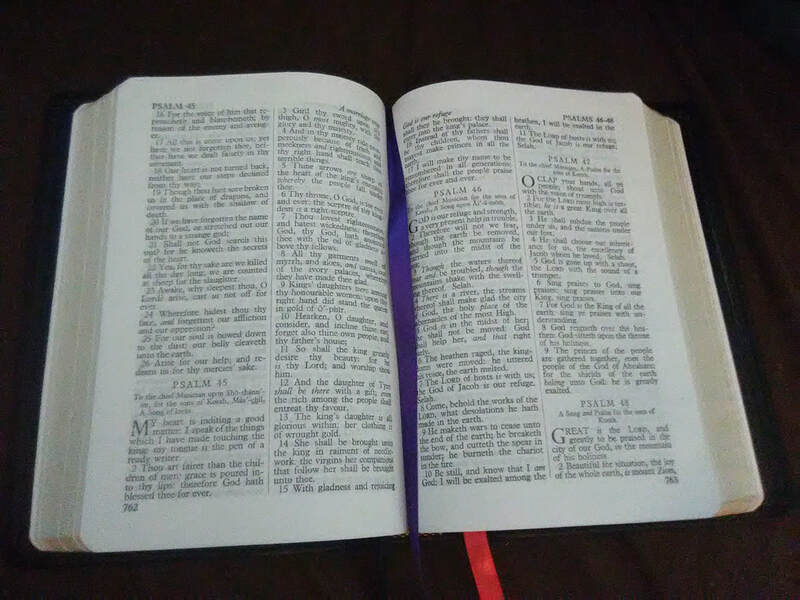 Before I list my Top Five, as well as my reasons for liking them, i would like to share some of my thoughts on study Bibles in general. Even though I often use them as a tool, I realize that there are some inherent difficulties in relying too much on study Bibles. First, there is the matter of bias. I'm not going to pretend that the five Bibles I'm listing below don't have any sort of bias. Every study Bible has some sort of bias, as far as I can tell. The challenge comes in recognizing that bias. 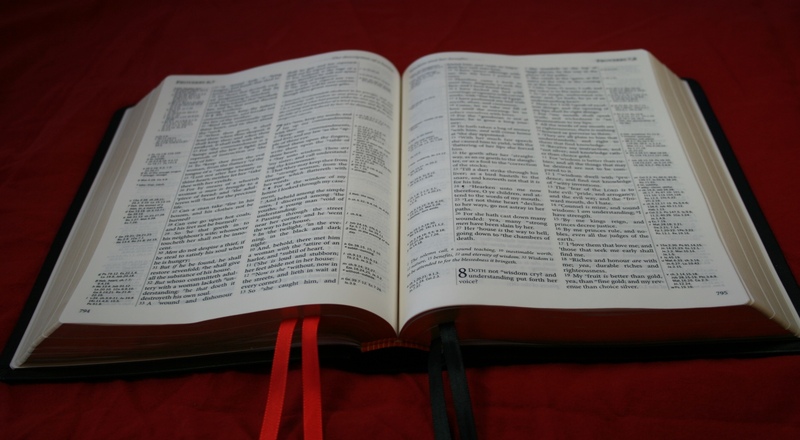 Second, although the commentary and notes in a study Bible can (and should) help shed light on the biblical text, the commentary is not inspired. Nothing bothers me more in a Bible study or Sunday School class than when someone says, "Well, the note in my Bible says..." and then the discussion stops, as if that settles the matter. 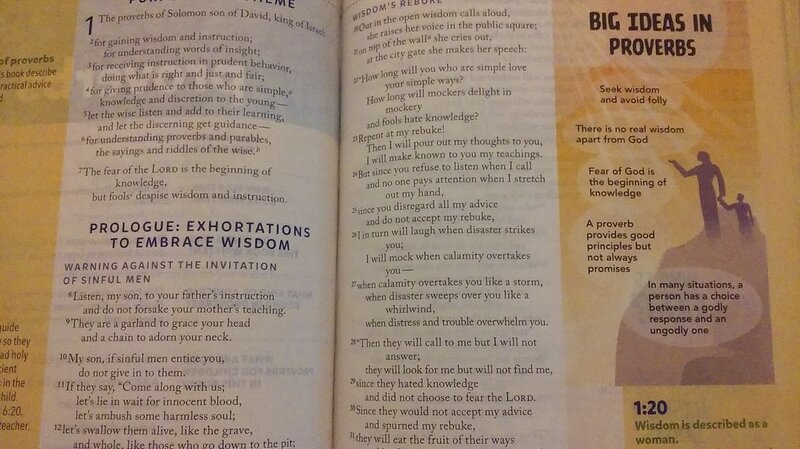 Finally, I feel that the notes in a study Bible should never overshadow the biblical text itself. While I appreciate a study Bible that's loaded with information, that information should ideally point the reader back to the text. Even though the ESV is not my favorite translation, there's no denying the strengths of this study Bible. It's certainly one of the biggest study Bibles on the market, coming in at an impressive 2,751 pages (plus maps)! I've often read of the ESV Study Bible's "Reformed/Calvinist bias," and there are certainly some spots where that is evident, but overall, there is a LOT of information in this Bible that is extremely useful. 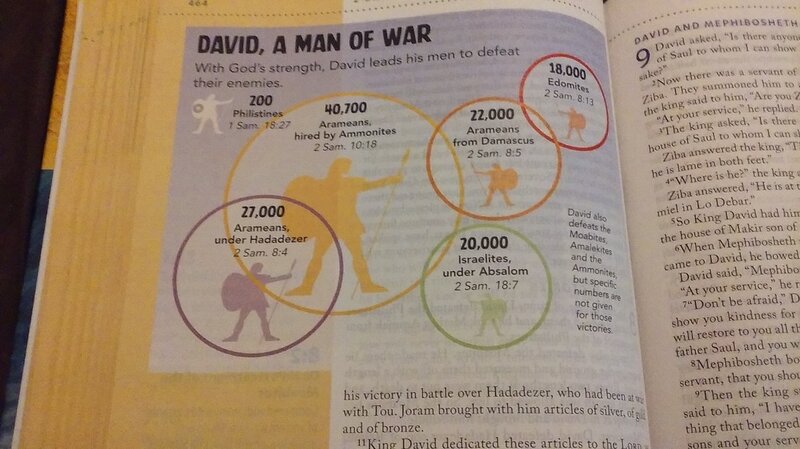 I think, when the ESV Study Bible came out, it really raised the bar on how much publishers could stuff into one Bible. Also, the online edition of this Bible is very well done. This was one of the first study Bibles I ever purchased, one that I found in a used bookstore almost two decades ago. It's been my most used study Bible ever since. Even though I've discovered other study Bibles that I think are better, there is no Bible in my collection that is more marked up and highlighted. I still use it on a regular basis. The copy I have used the most is the first edition that came out; I've since bought the Revised Edition, but I've never used that version nearly as much as my paperback first edition. 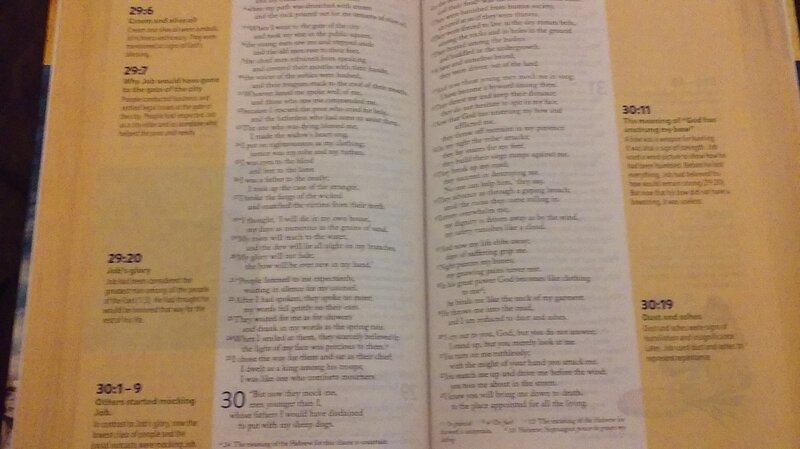 This is a text-based study Bible, so it lacks the kind of visual apparatus that one finds in the Bibles I've already mentioned. It's certainly a lot more "liberal" in its bias than the ESV or the HCSB, which is to be expected, considering its use of the New Revised Standard Version as its text. The notes tend to be of a literary nature, which can be a useful perspective. And it contains the Apocrypha/Deuterocanon, so that's handy. This will always be one of my favorite study Bibles. 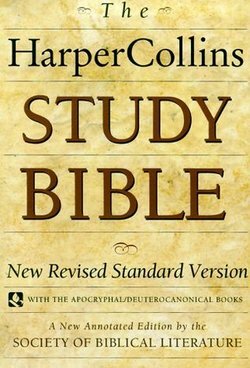 Not to be confused with the very popular NIV Study Bible, which is also published by Zondervan (and is a very decent study Bible in its own right), this study Bible came out just a few years ago. Edited by D.A. Carson, this one gives the ESV a run for its money, and for my money, is even better. Despite the fact that I'm not a huge fan of the 2011 version of the NIV, this study Bible is excellent. Carson's approach seems to be to consider the entire Bible in context, as much as possible. 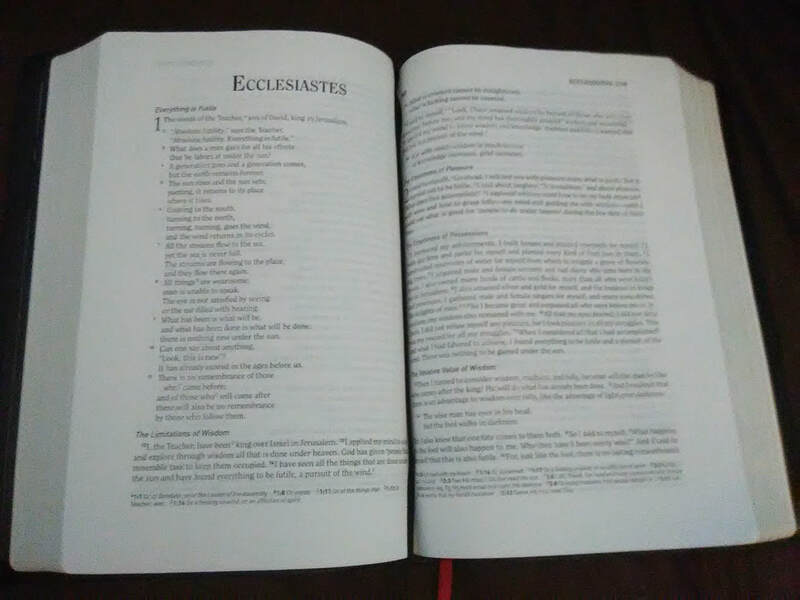 My Large Print Edition (which isn't really that large, but much easier for me to read than the standard print version) is even longer than the ESV Study Bible mentioned above, coming in at over 2,800 pages. The illustrations are excellent, as are the notes and introductions to the different books. There are all kinds of excellent articles, and if there is an evangelical bias present, it doesn't seem to be as evident as some other study Bibles. Over the past couple years, this has become one of my absolute favorites. This Bible only recently came out in print, but it has quickly become my absolute favorite study Bible! I've been familiar for a few years with Logos Bible Software's Faithlife Study Bible, which has previously only been available in electronic form, and usually linked to Logos's Lexham English Bible (about which I've written on this blog before). But Zondervan and Logos have now teamed to combine the excellent notes from the Faithlife Study Bible with the very popular NIV text, and the result is a spectacular study Bible. This Bible has the best visual layout I've ever seen, combined with notes of exceptionally high quality, from a variety of theological viewpoints. The marketing for this study Bible presents the concept of encouraging readers to stay curious about God's Word, and I think that's the great strength of this Bible. The notes and commentary encourage the reader to delve into the text to make his own decisions about what it says. 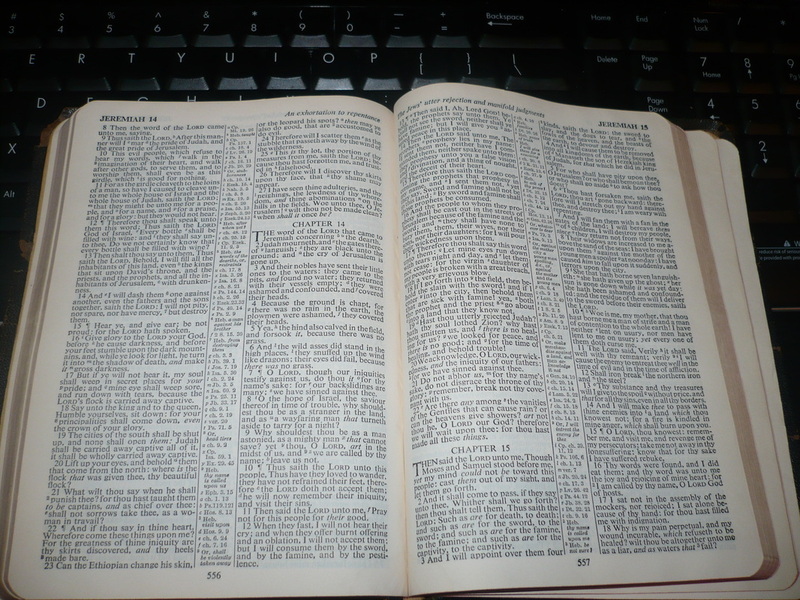 I appreciate any study Bible that admits up front that it doesn't have a single answer about everything. I've only had this study Bible for a short while, but it has become my go-to Bible. 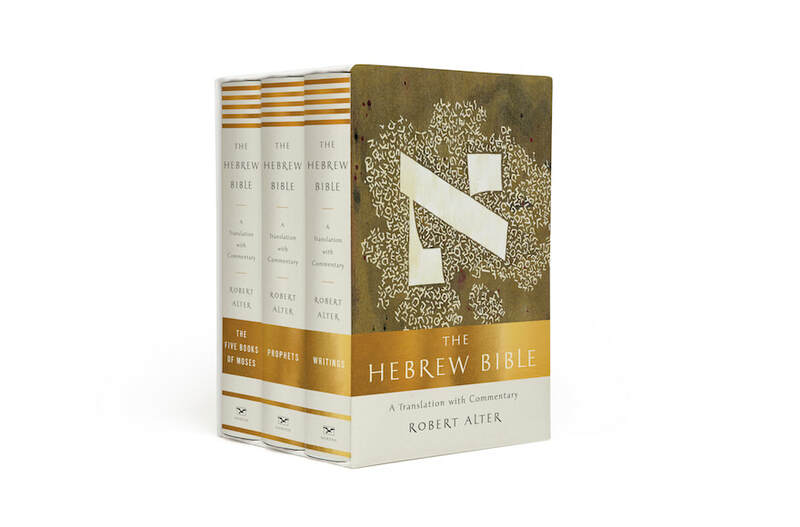 If Logos ever decides to release a print version that features the LEB instead of the NIV, I would get one in a heartbeat! This Bible is highly recommended for anyone looking for a great study Bible. They have an online "sampler" that give a good glimpse of the inside of this version: it's what led me to purchase it in the first place. And the price is right: the hardcover edition was only about thirty bucks...a tremendous deal.